The best part about being a grown up? Cake for breakfast!! 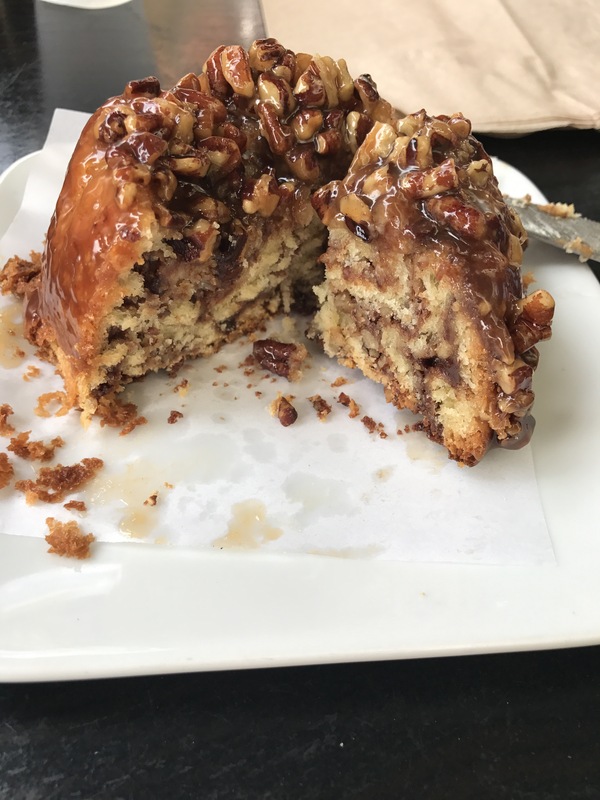 I heard that the salted caramel, pecan babka roll (wow, that’s a mouthful) at Sycamore Kitchen was pretty amazing and as it was @emsiereed bday, it seemed like the right place to go – even though she wasn’t here 🙂 Never let friends being in different cities be a reason to not eat cake for their birthday! 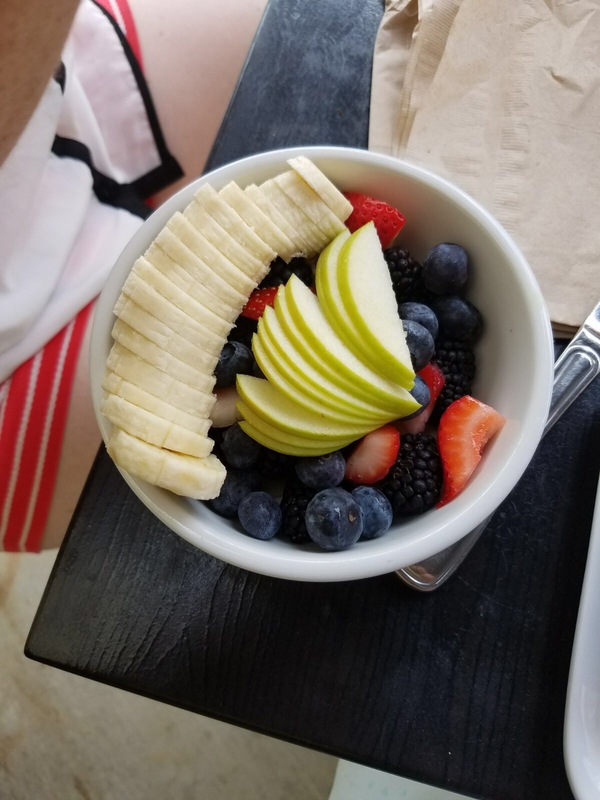 It was actually a good fruit bowl with lots of blackberries, but I couldn’t help feeling a little cheated. 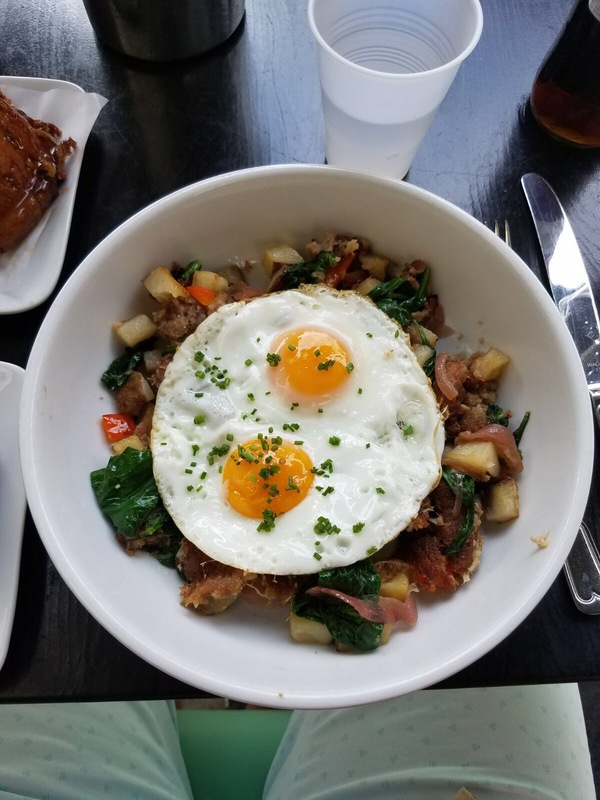 Especially considering he had a pork belly hash! 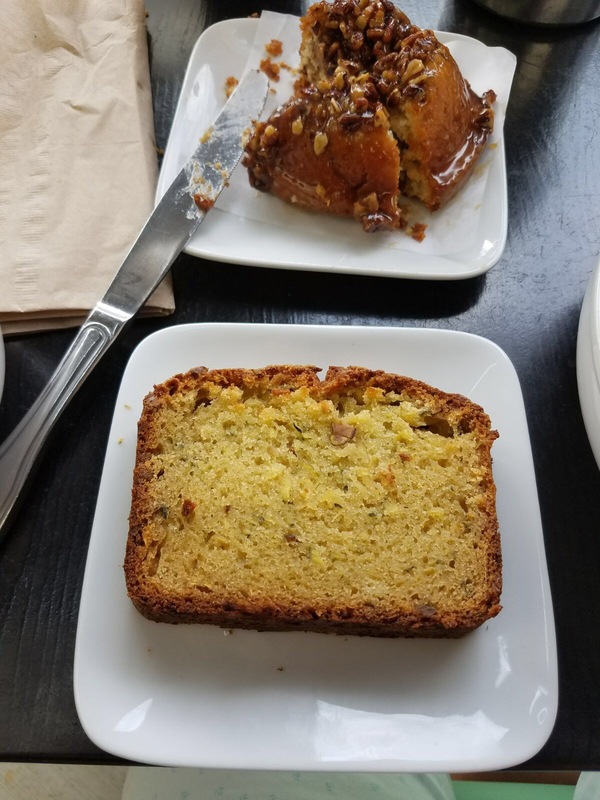 The zucchini bread was a really light flavor with hints of orange which made a nice change from the usual nutmeg. I’d like it toasted a little next time, the same way I prefer my banana bread toasted, but this one is worth ordering. The Sycamore Kitchen is set back from the road with a big outdoor patio area for you to enjoy your food on; though you are less likely to have a serenity moment with the trucks booting it down La Brea. Word of warning: sticky buns attract flies- get yours after you eat your other stuff or you will spend your whole meal swishing away. Cost wise, pretty standard LA: all the food plus iced coffee and the biggest Mexican Coke I’ve seen, tip & service was $45 for the two of us. Sycamore Kitchen is doing one of these ‘new to LA’ things where they add service charge to your bill automatically which I believe makes life easier. I’d like to head back over for lunch one day as I think the salad & sandwich menu sounds good; I’ve got my eye on the spicy Vietnamese salad for sure. I’ll let you know when I try it.